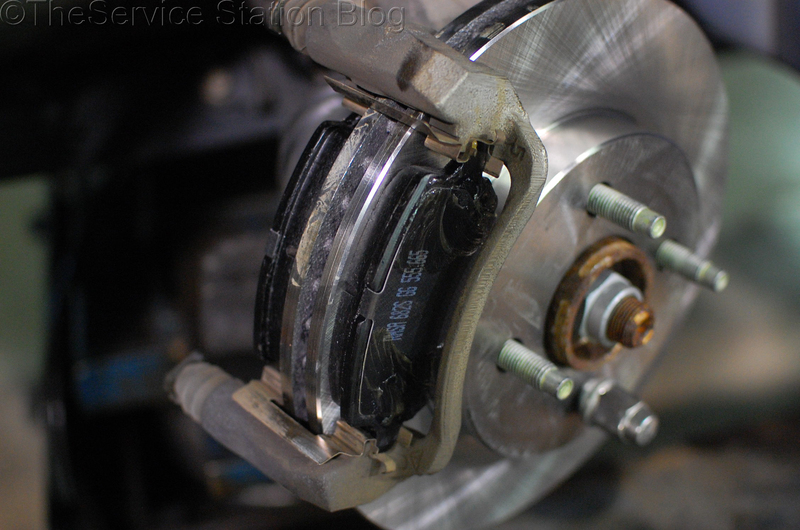 I alluded to this particular post in my recent post about rear caliper service, and I feel it will be helpful to someone who is a little hesitant to do a brake job or unfamiliar with how disc brakes work. For a basic understanding of how disc brakes work, you could do a simple Google search. 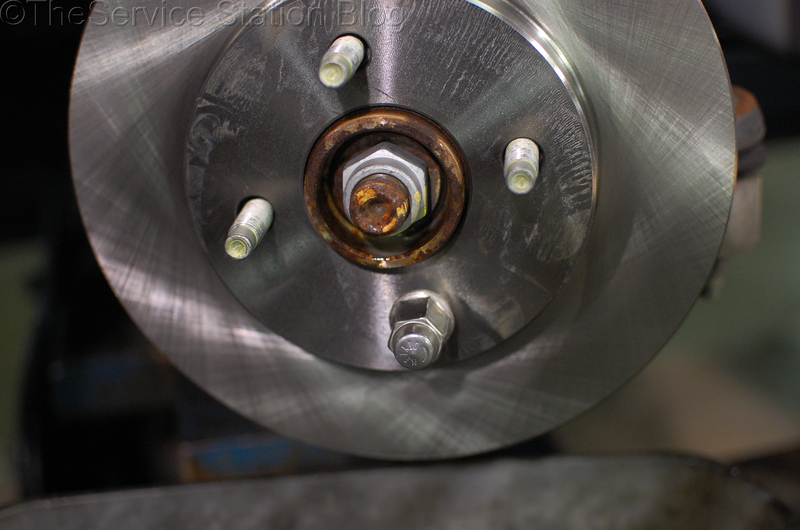 I’ll be covering how to change pads and rotors on a typical disc brake system. Upon removing the wheel and tire, you will be greeted with something like this. The first step is to remove the caliper-to-bracket bolts. 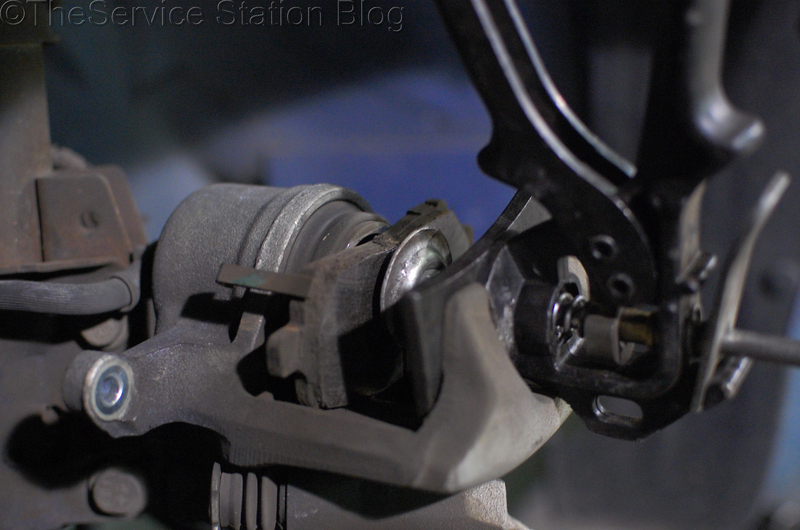 After removing the bolts, if you find it difficult to remove the caliper by hand, you can use a large screwdriver or pry bar to loosen the caliper by slightly compressing the caliper piston. With the caliper removed, you can get a better picture of how the whole assembly sits and works together. I recommend doing one side at a time so if you’re unsure how something goes back together, you can use the opposite side as a reference. You can use a number of tools to compress a single piston caliper such as this one, but my favorite is the Lisle 24300 Speedy Caliper Compressor. 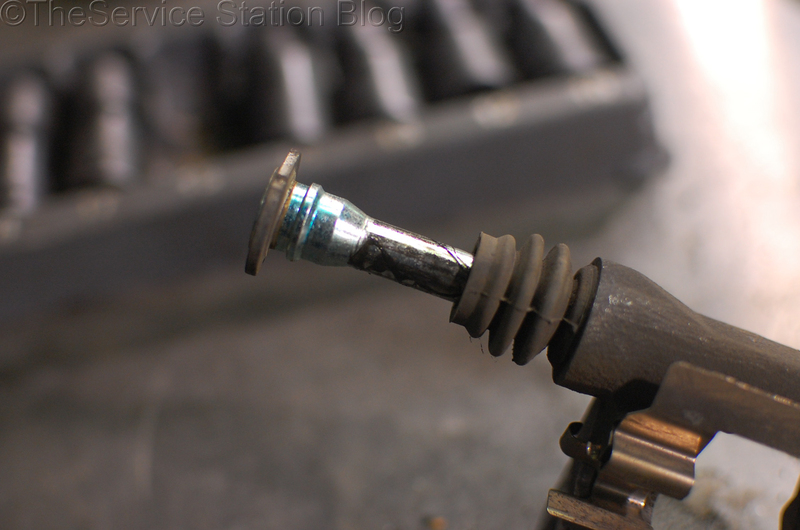 With the caliper piston compressed it should look something like this. 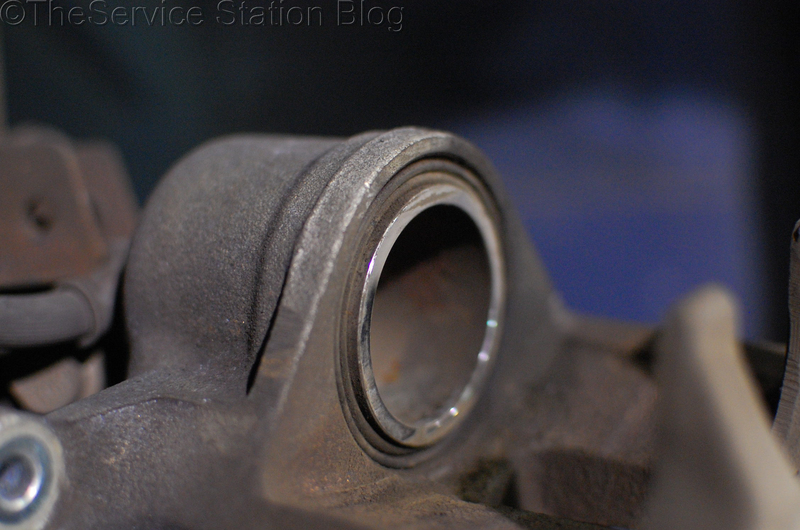 The piston should be basically flush with the caliper housing. It’s very important that you don’t let the caliper just hang by its rubber hose, otherwise you can damage the hose and it could fail at the least opportune time. I like to use a small bungee cord like this, but you could just as easily use a strong zip tie or a hook. They even make special tools for this! With the caliper hung safely out of the way, you can now remove the caliper bracket or caliper bridge bolts. 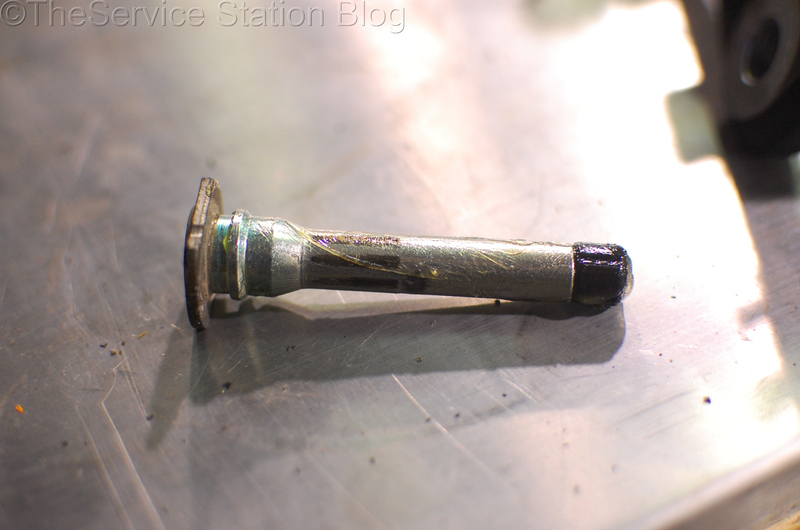 These are usually a little larger than the caliper bolts and are often very tight and difficult to remove. This is where a strong impact wrench or a good breaker bar come in very handy. 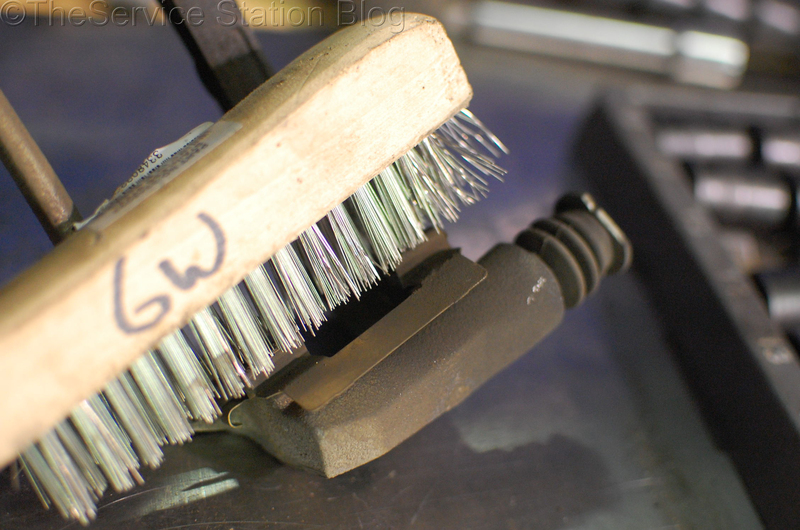 With the bracket removed, you can now clean the hardware with a wire brush or you can replace it. Some premium pads come with new hardware or you can buy a new kit for a few bucks. It’s important to clean or replace this stuff in order to keep the new pads from binding. This hardware is in good shape so I’m going to save the customer some money and reuse it. 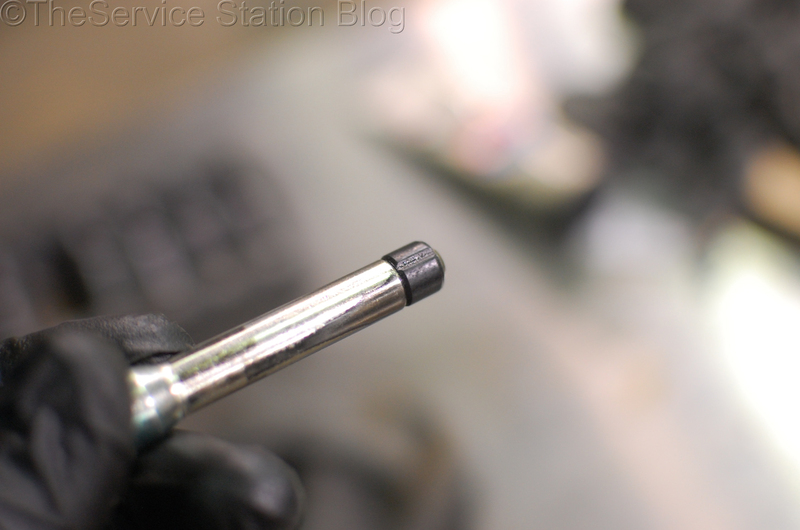 Another oft-forgotten step is to clean and lubricate the caliper slide pins and/or bolts. This is the kind of thing that separates a professional brake service and a quick pad slap, whether done in the driveway or at a shop. In the background you can see my swivel impact socket which saves a ton of time when using a 3/8″ impact wrench or air ratchet. If the bolts and slide pins are rusty and crusty, they should be replaced. Otherwise, simply wipe them down with a shop rag and apply some silicone brake lubricant. I like to use AGS Sil-Glyde which can be purchased as a tube like this or in those little packets at the parts house checkout. 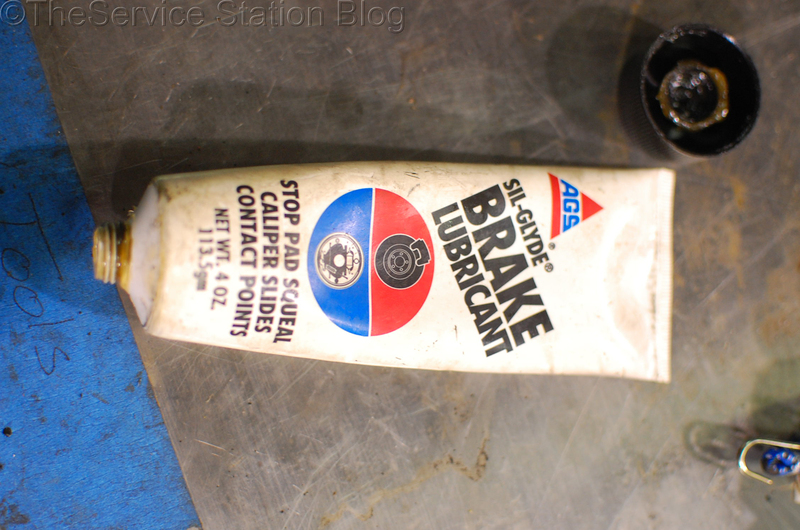 Be sure to use lubricant specified for brake grease for two reasons: 1) Regular grease is not as temperature resistant and can melt, causing it to lose its effectiveness, and 2) Regular petroleum-based grease doesn’t play nicely with the rubber used in caliper pin bushings (below) and boots. When you’re done, it should look something like this. 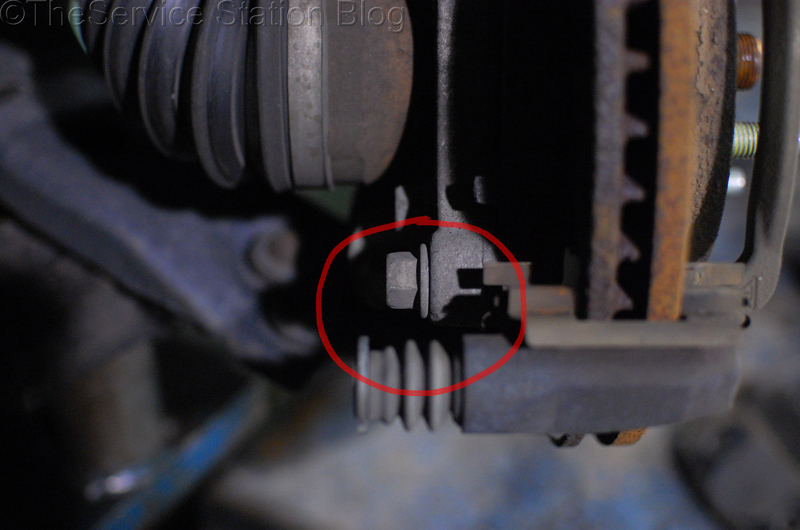 Take note of the little rubber bushing here. These are used to help insulate and stop brake noise. Again, if they’re damaged they should be replaced. 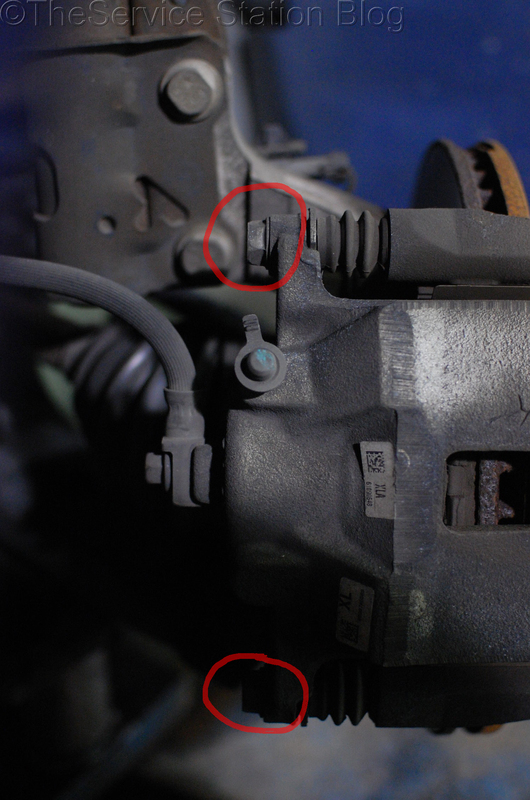 The pins with the rubber bushings are usually located on the top caliper bolt if you happen to get confused during reassembly. You also need to lubricate the tips of the brake pads so they slide smoothly and the back of the pads for noise insulation. Next, we install the rotor. 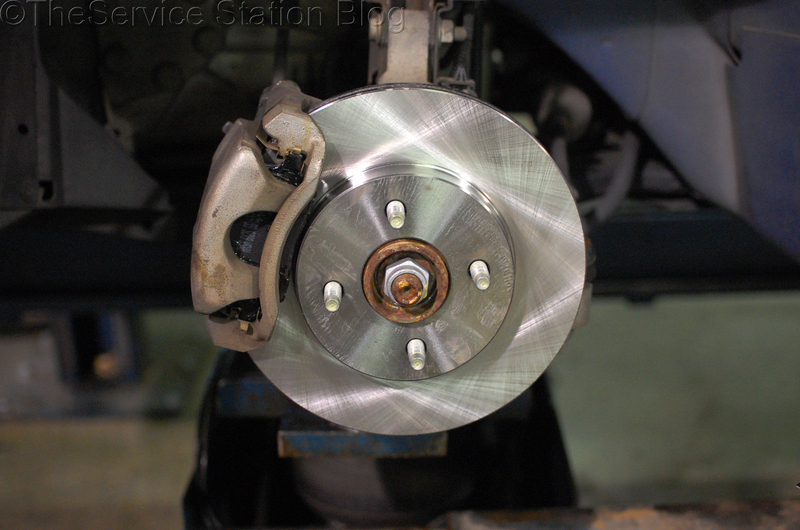 Brake rotors usually come wrapped in plastic and coated with a light oil to keep them from rusting during shipping and storage. 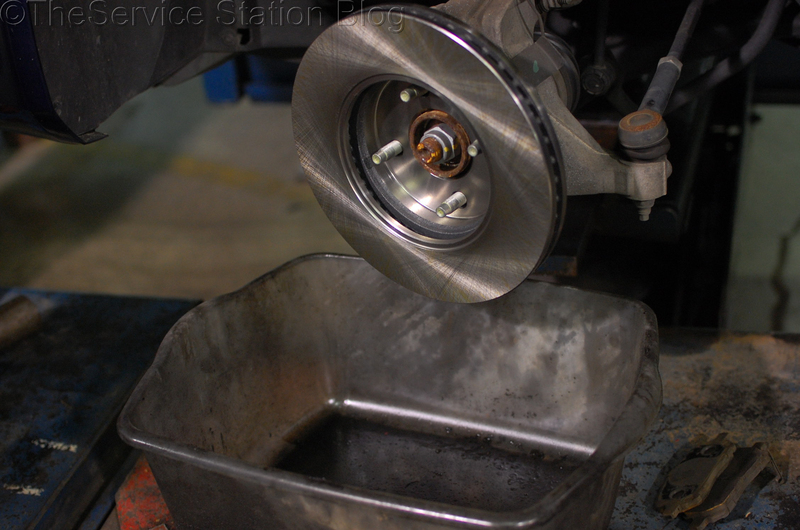 It’s very important to remove ALL the oil from the friction surfaces, otherwise you could be dealing with brake noise and insufficient stopping power. Tech tip: Flip the rotor around backward and slide it on the studs first. You can clean the back side first and flip it around and clean the front. I also like to catch the brake cleaner in a tub instead of letting it run all over the shop floor, potentially causing a slipping hazard. Before you install the caliper bracket and pads, it’s a good idea to use a lug nut (hand tightened only!) to hold the rotor in place and make things easier. With everything cleaned and lubed, it’s time to reinstall the caliper bracket and brake pads. Make sure to torque the bracket bolts to manufacturer specs. Reinstall the caliper and torque bolts to mfg. specs and admire your handiwork! 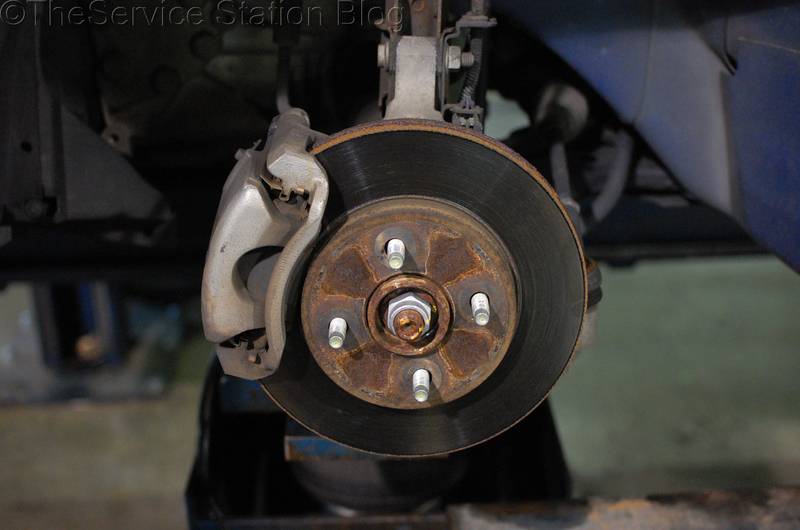 Now you can do the other side with just as much care and precision and be sure you have a quality brake job. 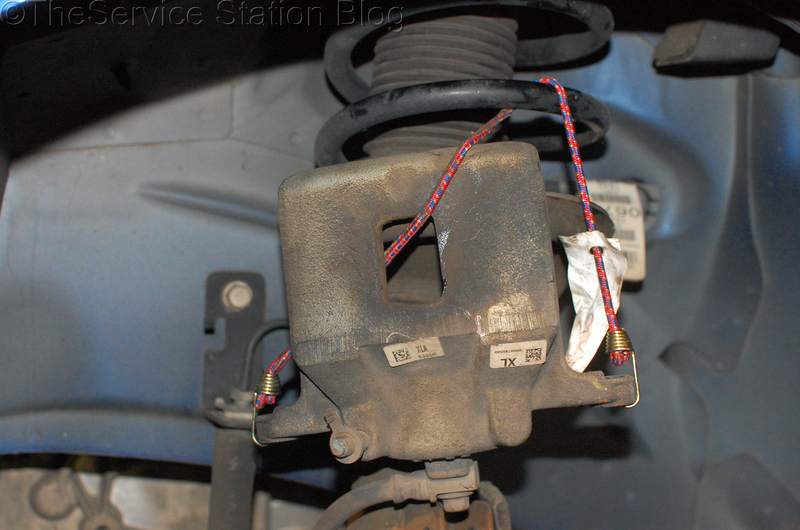 After a brake job, make sure you press the brake pedal at least 4 or 5 times before you let the car down and start it. If you start to move the vehicle without doing this the first time you press the brakes, the pedal will go all the way to the floor and you could lose control of the vehicle. 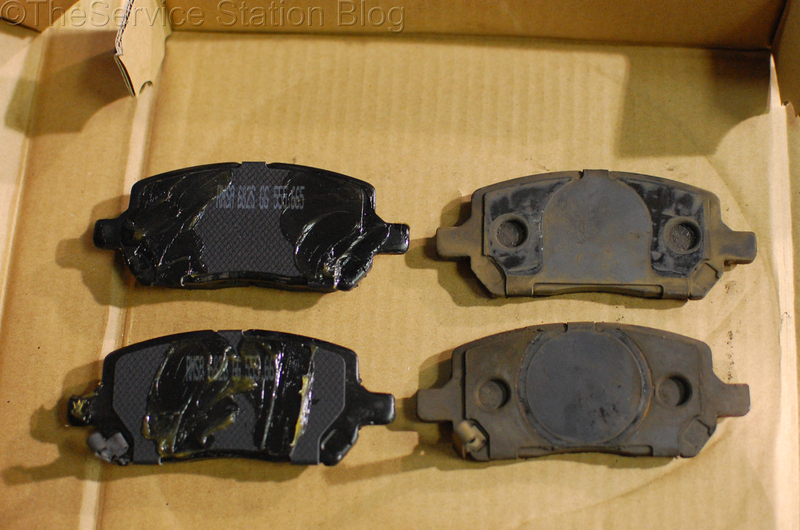 You may smell some odd odors and hear a bit of unusual noise for the first few miles after a brake pad swap. That’s just the pads breaking in and the residual chemicals burning off and it’s usually nothing to worry about. However, if the noises and smells continue, you should take it to a qualified technician to have it looked at. *I linked to a lot of products in this post, and I have to tell you that I am not receiving any compensation for any of these links. I’m simply showing you where you can purchase the products like I used in this post if you are unsure of where to acquire them. Happy reading! It’s good that you mentioned how there might be some weird sounds and smells for a few miles after your brakes are replaced. I bet a lot of people who get their brakes fixed think that there is a problem with the new brakes when they hear those sounds. My sister is about to get her brake pads replaced tomorrow, so I will let her know to watch out for this and not worry if it happens to her unless it goes for more than a couple of miles after the fix. Thanks for helping me understand more about a disc brake job. I thought it was interesting that you mentioned that letting a caliper hang by its rubber hose can possibly damage it and make it fail. Not only that, but I appreciate that you added pictures of the process. Incredibly helpful for people to visualize this. I’m kind of interested in learning if this process is similar to what is done in the shops, or if they have specific tools to make sure the job is done correctly. Thanks for the kind words, and I’m glad it helped you understand things more completely. That’s one of the main reasons I write this blog. 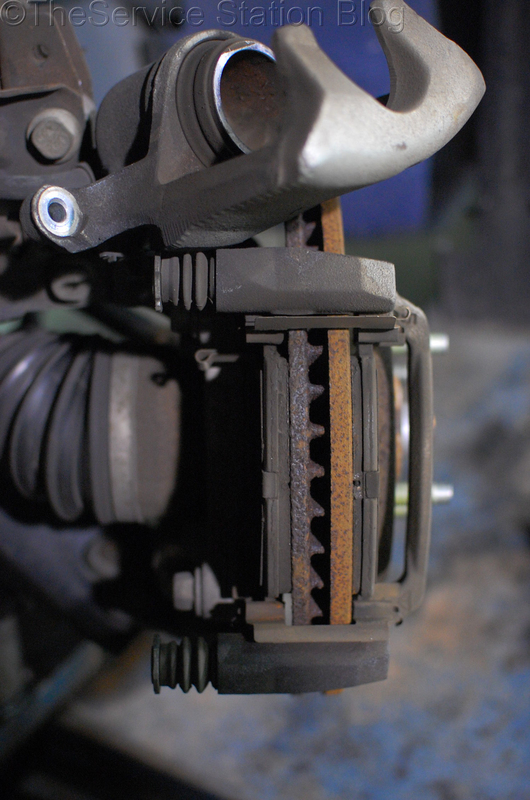 The process of a brake job varies widely from shop to shop and even technician to technician, but this is the most commonly accepted correct way to complete the job. Some people and places cut corners while others replace more parts than may be necessary. As far as special tools, there are special tools for specific vehicles, but most brake jobs require only tools outlined in this post. 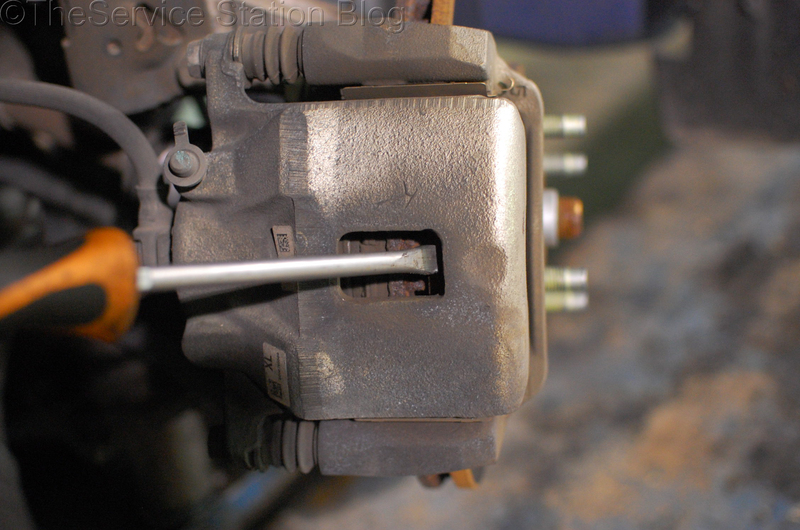 I also wrote a post for rear brake caliper service that features a special tool. Thanks again and Happy Wrenching! http://wp.me/p3HZ0W-6U. Link to rear disc brake service article.